I just returned from a trip to California. I was able to spend a couple of days in Yosemite National Park. I’ve always wanted to visit Yosemite and it did not disappoint. It is an incredible destination for any photographer or adventurer. I have not had time to review all of my captures from the trip. But, expect to see more in the coming weeks. I hope everyone else found some time to explore also. I captured this image using my 24-70mm f/2.8 tripod mounted. You can see more of my gallery images at http://tobygant.com/Gallery. Thanks for stopping by. I captured this image of a local park a couple of weeks ago. 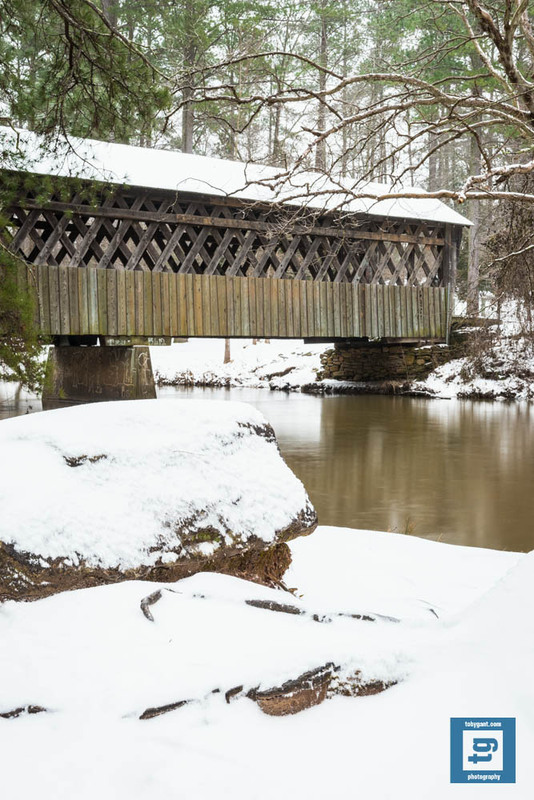 Snow is not very abundant in the Southeast. So, it was a nice change of pace for some of us. The park is easily accessible to anyone. 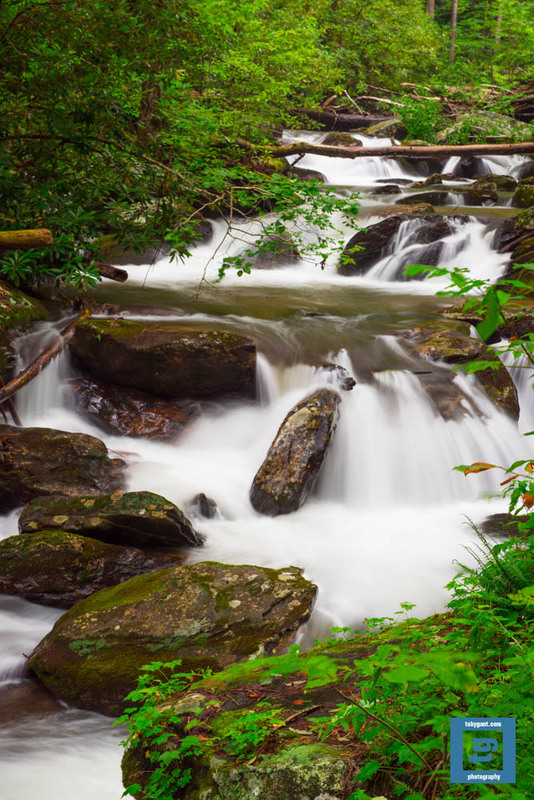 This image was captured using my 24-70mm f/2.8, tripod mounted and using a circular polarizer. Thanks for stopping by. While modern cameras and software provide us with tools to capture some wonderful images. There are certain situations you simply cannot work around. Yes, there is HDR. But, even then it still has it’s limitations. I found myself in such a situation yesterday. 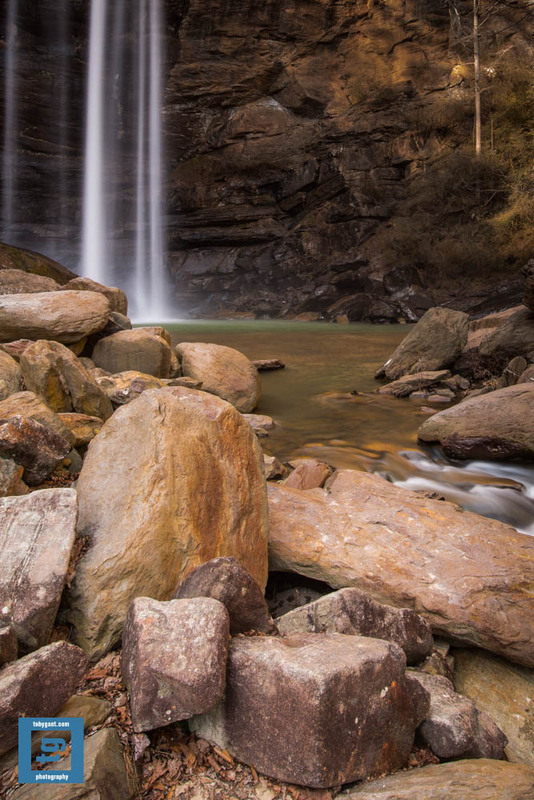 The sun was shining directly on the top of the falls and the cliff face as I was trying to capture Toccoa Falls. There are extra limitations here because you have to enter the falls through a gift shop whose hours are 9-5. This automatically places our friend the sun high in the sky. Which also means harsh and in some cases extreme lighting conditions. I will attempt this shoot again on a cloudy day at some point. It is a beautiful place and easily accessible. Regardless of the lighting, I had a wonderful time and I was able to walk away with a couple of interesting captures. I captured this image using my 16-35mm f/4, tripod mounted, using a circular polarizer and a graduated ND. I hope everyone was able to get out over the weekend and get some captures of your own. I look forward to looking a them. Thanks for stopping by. I just added a couple of new images to my gallery images. 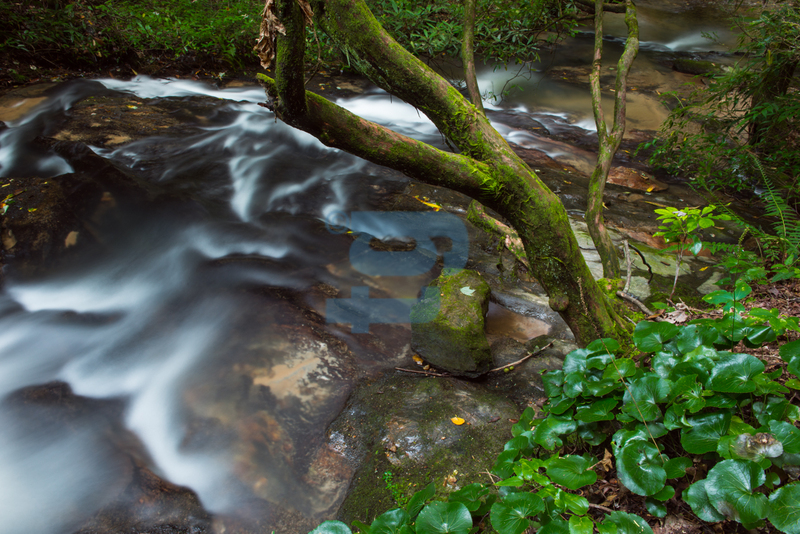 This image of Bad Branch Falls near Lakemont, GA is one of my favorite captures from 2013. Please feel free to share your thoughts. I captured this image using my 16-35mm f/4, tripod mounted and using a circular polarizer. You can see more of my gallery images at http://tobygant.com/Gallery . Thanks for stopping by. When shooting outdoors some captures can be a real challenge. There can be many factors that make or break a shot. It is not like shooting in the studio where you can control and program every facet of your operation like it is almost an assembly line. (Your subject excluded of course.) You have to constantly account for changes in lighting, shadows and weather conditions. For me I am always looking for the perfect mix of even lighting, good weather and an interesting subject. (My trifecta.) I was rewarded with such wonderful conditions recently while visiting DeSoto Falls in Georgia’s Chattahoochee National Forest following a rare winter snowstorm in this part of the country. I captured this image using my 24-70 mm f/2.8, tripod mounted and a circular polarizer. Thanks as always for stopping by. 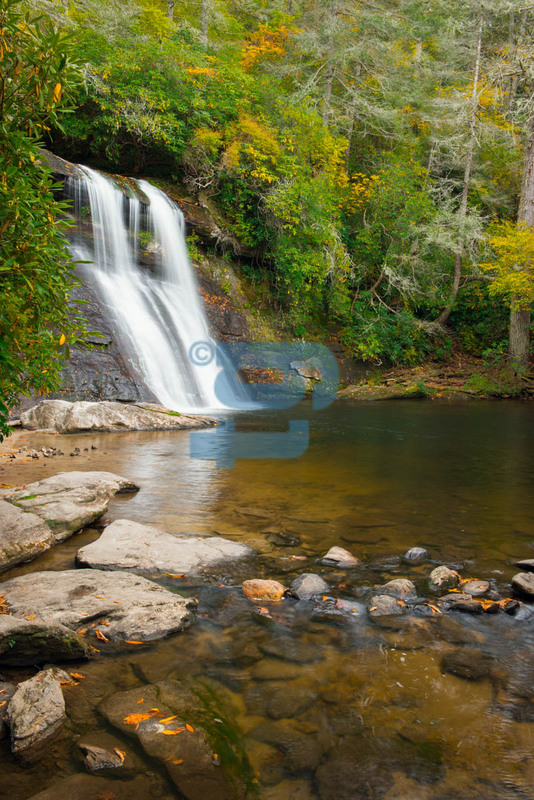 I believe this perspective of Yellow Branch Falls in South Carolina lends itself to a more intimate view than the previous capture I shared a few weeks ago. It’s a beautiful location that I plan to visit during all seasons of the year. This image was captured using my 16-35 f/4, tripod mounted and using a circular polarizer. Thanks for stopping by. I hope everyone is able to find time to get out and explore this week. 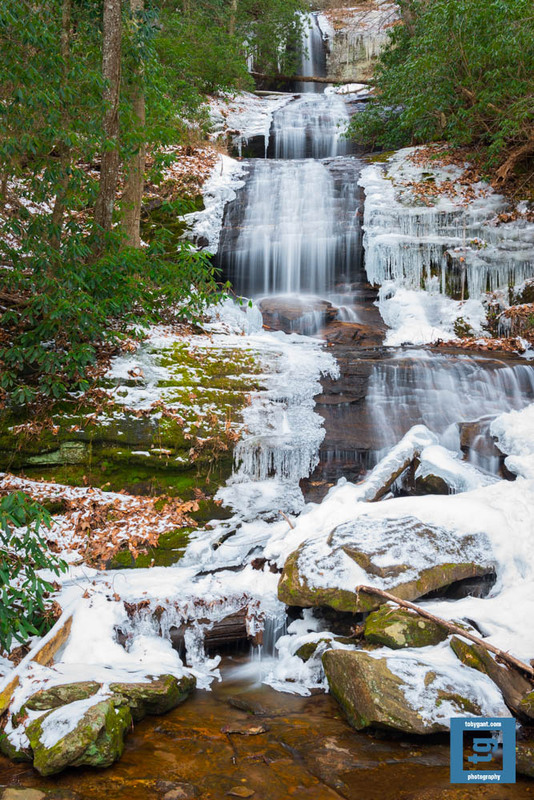 If the icicles scattered around this image give you the impression that it could be cold in this area of the Blue Ridge Mountains in January, then you would be correct. Despite the weather it was great to get outdoors for some fresh air. I captured this image using my 70-200mm f/2.8, tripod mounted and using a circular polarizer. Thanks as always for stopping by. 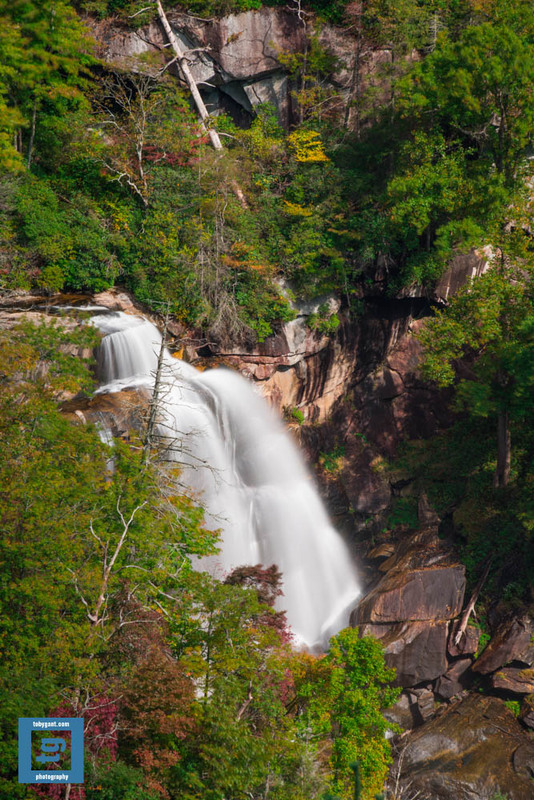 As promised in my early blog on Dicks Creek Falls – Georgia, here’s a wider view of the falls. You can actually see the falls from the roadside and there is parking available just across the roadway. I personally prefer the perspective my original post of Dicks Creek Falls captures. But, I believe they both have their own merits. Feel free to let me know your thoughts. I captured this image using my 24-70mm f/2.8, tripod mounted and using a circular polarizer. I hope you all find an opportunity to get out and explore this weekend. I’ll look forward to looking at your captures. As always, thanks for stopping by. The temperatures dropped below freezing yesterday in Sky Valley, Georgia. The water was a bit warmer resulting in a thick fog rising from the water. (I’m not sure how much warmer the water was. I had to wade to the other side of the creek for a different perspective and it felt cold as ice.) Fog doesn’t always translate well in photographs. I’m still not certain how I feel about the fog in this particular capture. I captured this image using my 16-35mm f/4, tripod mounted and using a circular polarizer. Thanks for stopping by. I hope everyone is having a blessed and wonderful holiday. I explored Dicks Creek Falls near Cleveland, Georgia this morning. I really enjoyed the tranquil surroundings. And let me say, it is an incredibly beautiful location. Nobody else was around. It’s always a great thing for a photographer when you don’t have to compete for prime real estate. I was able to capture some good images also. I will be sharing more of my images from this great location in coming days. I hope everyone is able to get outdoors and explore their part of the world this weekend. 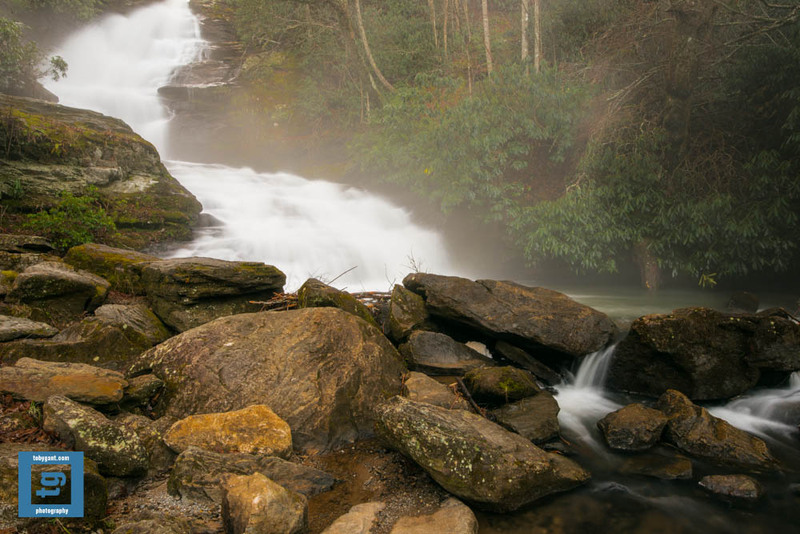 Thought I’d share a different view of Moccasin Creek from my recent adventure. I found the rock formation in the foreground interesting. The motion that you can see just above the formation is due to perfect tiny little bubbles created by the short drop from the formation. This is one of my favorite images from my recent trip to Moccasin Creek State Park near Clarkesville, Georgia. The adventure of hiking Hemlock Falls Trail was fun all by itself. But, to walk away with some great images makes it that much more memorable. I captured this image using my 24-70mm f/2.8, tripod mounted and using a circular polarizer. I have also added an image to my gallery collection that can be found at: http://tobygant.com/Gallery. Thanks for stopping by. I captured this image of Minnehaha Falls on my recent trip into the mountains. Minnehaha Falls has to be near the top of the list of most photogenic waterfalls in Georgia. It would be difficult to get a bad shot. I captured this image using my stellar 16-35mm f/4. The camera was tripod mounted and I used a circular polarizer. Thanks as always for stopping by. I’m looking forward to seeing everyone’s captures from the weekend. I hope you all get an opportunity to get outdoors. 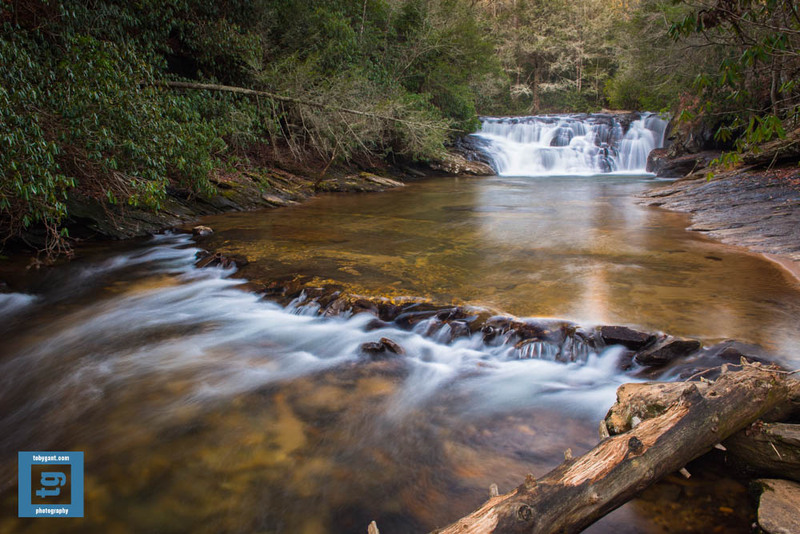 I captured this image of Crow Creek Falls last week. There were far more gold and red leaves than my visit in early October. I captured this image using my 24-70mm f/2.8, tripod mounted and using a circular polarizer. I hope everyone has an opportunity to get outside this weekend. I’ll be looking forward to looking at your captures. Thanks for stopping by. 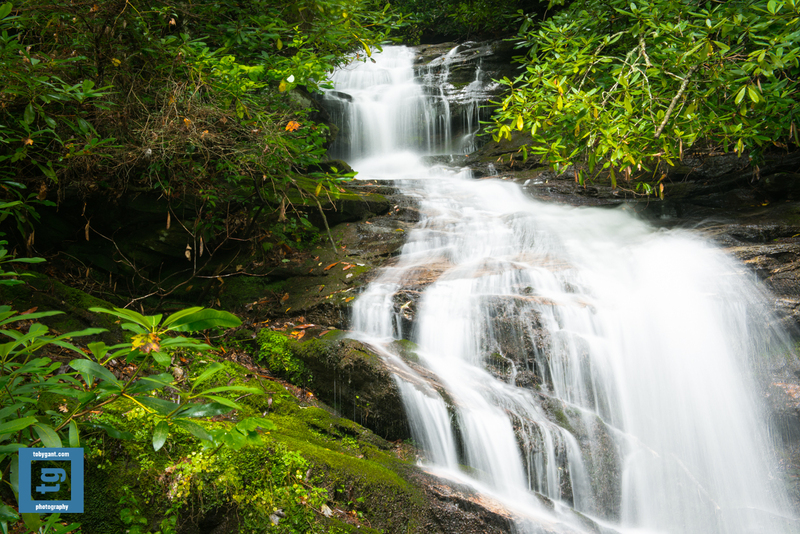 I was able to explore Silver Run Falls near Cashiers, North Carolina over the weekend. We had perfect weather. I hope to return to the area when it has full-blown fall colors. I escaped the confines of the indoors this morning and visited Crow Creek Falls near Lakemont, Georgia. 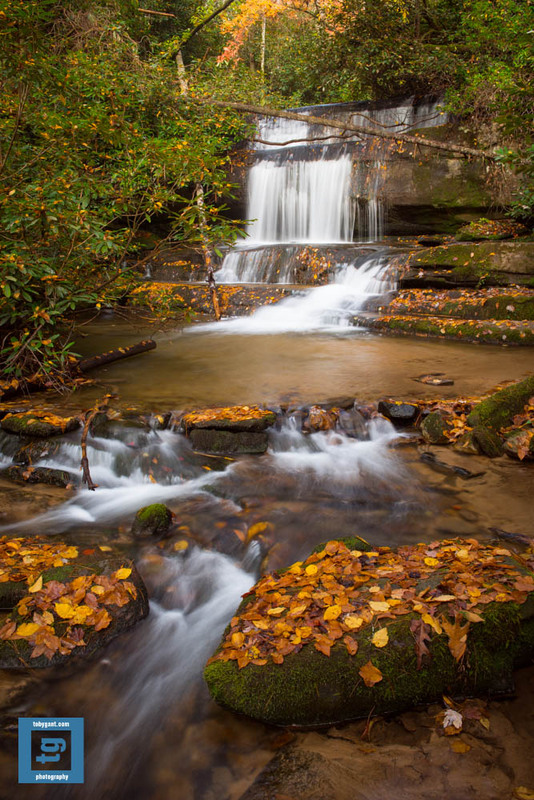 The area near the falls is already showing signs of the autumn season with golden leaves dotting the landscape. I captured this image using my 16-35mm f/4, tripod mounted and using a circular polarizer. I hope everyone else found an opportunity get outdoors this weekend. Thanks for stopping by. 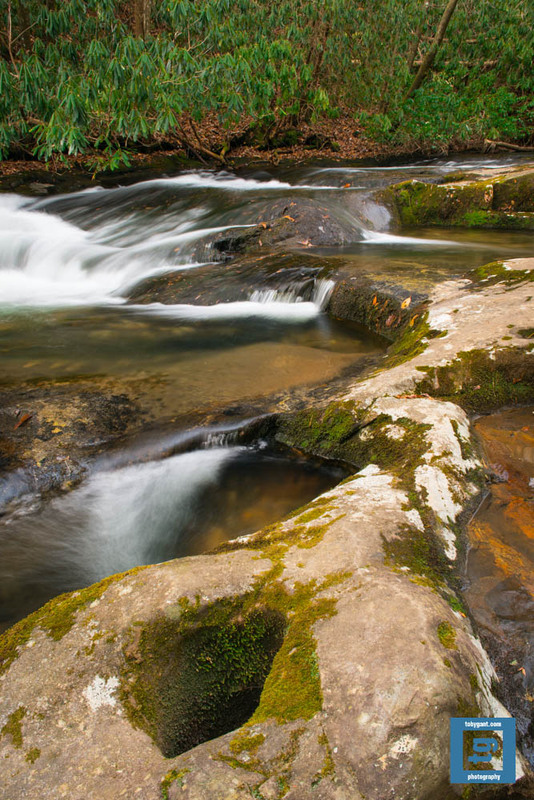 I captured this image of Smith Creek on my recent trip to visit Anna Ruby Falls near Helen, Georgia. I’m looking forward to the leaves on the trees changing soon. I love the rich green colors. But, the fall colors will be a nice change. I captured this image using my 24-70mm f/2.8 tripod mounted and using a circular polarizer. Thanks as always for stopping by. I went on a short adventure today to explore Bean Creek near Sautee Nacoochee, Georgia. I explored the creek near the Bean Creek Falls. It isn’t terribly far off the beaten path. 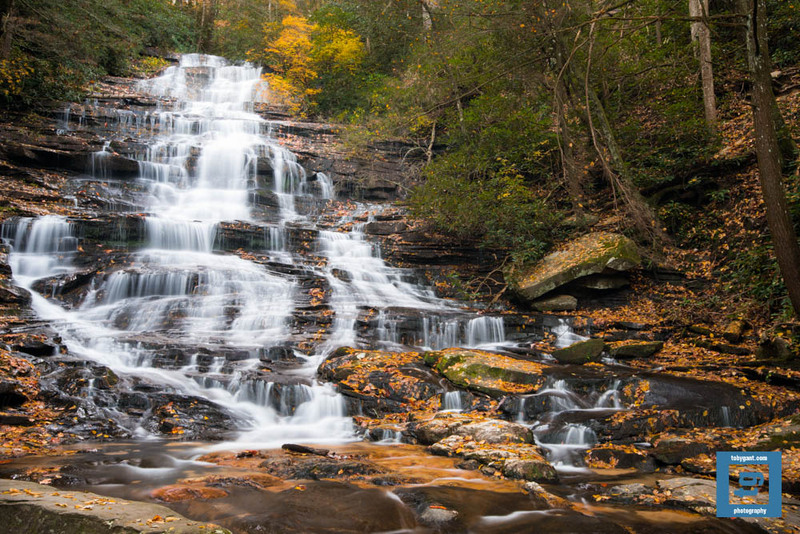 Helen, Georgia and Unicoi State Park are just a few minutes away. It was an incredibly beautiful place. 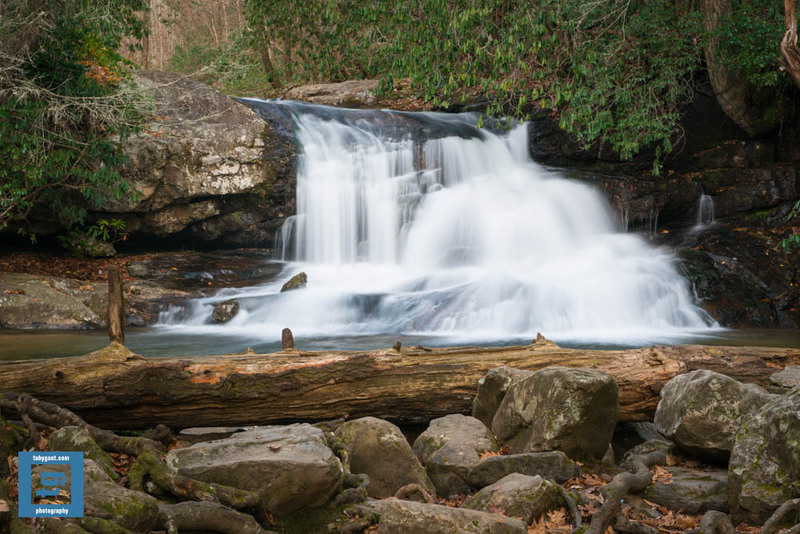 If you find yourself in the area, it is worth the few minutes it will take to detour to the falls. I captured this image with my 24-70mm f/2.8. The camera was tripod mounted and I used a circular polarizer. I will be posting an image of the falls in the coming days. As always thanks for stopping by. I slipped away to Becky Branch Falls near Clayton, Georgia over the weekend. It’s a very short hike up a relatively steep grade. (It is definitely worth the tiny bit of effort. Be careful on the wooden bridges near the parking lot if it has been raining. I’ll spare the details.) I spent over an hour at the falls and was not disturbed by another human for the duration of my visit. I will most assuredly revisit these falls. Especially if I am in the mood to spend some time in solitude in beautiful and peaceful surroundings. This image was captured with my new 24-70mm f/2.8. It is steadily working into more and more of my workload. I am very pleased with it. As always, thanks for stopping by.